The Chiefs had a tough start to their season last week when they lost running back Spencer Ware to a significant knee injury. We always hear about the dreaded ACL injury, but Spencer Ware actually tore his posterior cruciate ligament (PCL) and his lateral collateral ligament (LCL). There are four ligaments in the knee and he tore two of them! This is a really tough injury and there’s a long road ahead for him. We’re going to explore this injury in this blog. 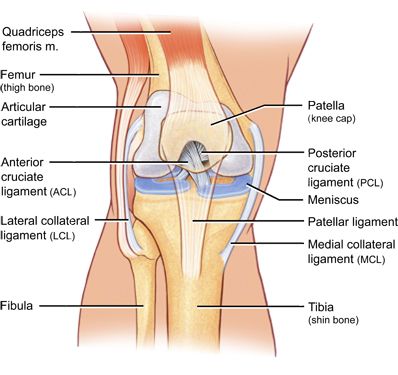 The PCL is inside the knee joint behind the more commonly known ACL. 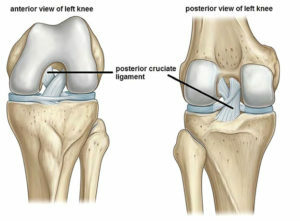 “Cruciate” means “cross” and these two ligaments form an “X” inside the knee. It is typically torn from a posteriorly-directed blow to the tibia (“shin bone”) or during hyperflexion. Think landing directly on the knee or possibly during a high-velocity car accident where the dashboard pushes the knee backward. Certainly, the PCL can be torn during hyperextension or during rotational movements too. PCL injuries can have varying degrees of disability and some do not require surgery. As in this case, PCL injuries rarely occur in isolation – there are usually associated injuries with it. Learn more about the PCL here. 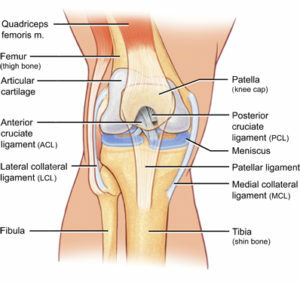 The LCL is a ligament on the outside or lateral aspect of the knee that protects the knee from laterally-directed blows from the medial aspect of the knee. The LCL is also torn with hyperextension injuries. We’re thinking that Spencer Ware had a hyperextension injury since he got both the PCL and the LCL. With injuries of this magnitude, it is also possible to injure the postero-lateral corner (PLC). If this is also injured, this adds to the significance of this injury. Learn more about the LCL here. As stated above, you have 4 ligaments in and around the knee and when you tear half of them, it’s a complicated injury with a long recovery process. Rehab for this will be relatively slow to allow for proper tissue healing and to protect the PCL and LCL grafts. Key principles for rehab of this injury include progressive weight-bearing, protection of posterior subluxation of the tibia, and quadriceps strengthening ( LaPrade et al, AJSM 2015). Like any knee injury, getting range of motion, strength, balance, and normalizing gait are fundamental to the process. There are some key differences though with PCL reconstructions. First of all, the period of non-weight bearing or limited weightbearing is a little longer than ACL’s because the graft takes longer to heal (Bellelli et al, Radiol Med 1999; Fanelli, Arthroscopy 2008; Harner & Hoher, Am J Sports Med, 1998). Range of motion progression is also slower with these injuries than after an ACL reconstruction. Secondly, it’s important for the knee to get fully straight again, but contrary to ACL injuries, there is a risk of stretching a graft if knee extension is forced or pushed too early with PCL and LCL reconstructions. Next, while the hamstrings are the best friend to the ACL, with PCL injuries, active contraction of the hamstrings can cause the PCL too much strain. Therefore, exercises like hamstring curls are delayed for up to 12 weeks. Provided the tibia is vertical, like with Romanian deadlifts, hamstring exercises can be done prior to that. Similarly, exercises done on your back, like leg presses where the tibia is in a gravity-dependent position, will put harmful strain on the PCL in the early phases. Therefore, exercises in standing, like squats and step ups are better choices, or ensuring that the leg press is performed in sitting. Even exercise bike choice matters – a recumbent bike has the knees extended in front of the patient, creating that posterior sag of the tibia that we want to protect. The upright bike is a better choice for these patients once the protocol allows them to do so. Even the basic straight leg raise exercise is performed in the brace to protect the graft. Other than some of the above considerations, the rehab after theis injury is much like ACL rehab. We know he’ll have every resource at his disposal to recover to the maximum potential, but this is still easily a 8-12 month injury to recover from. It’s important that he regains strength, power, rate of force development, and speed in addition to his general conditioning for football. 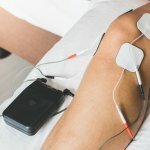 Should you suffer a knee injury, it would be a privilege to serve you and partner with you in your care. 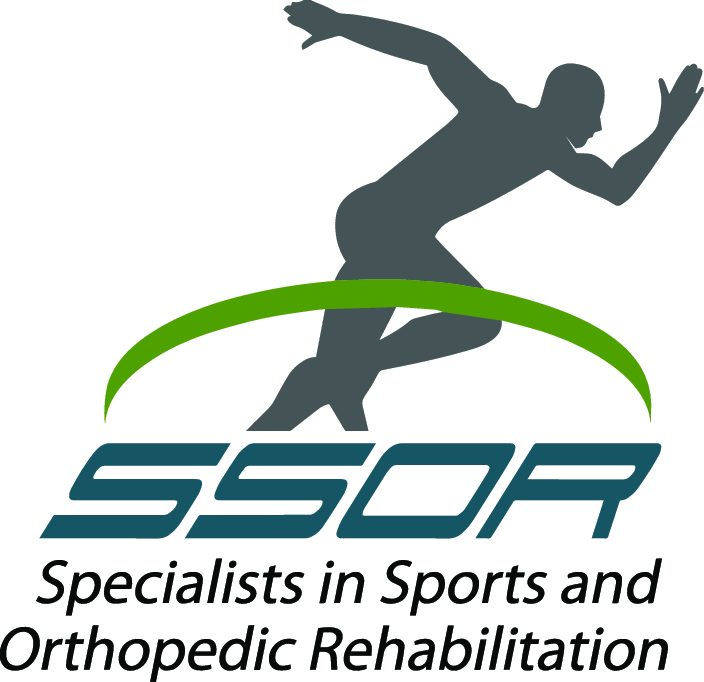 We have Kansas City’s only knee/shoulder fellowship-trained sports physical therapist. You can count on an evidence-based, competent physical therapist to guide you through the process. Give us a call!